Travel to or from the Tilbury Cruise Port with style with Britannia Airport Cars. Hire London Airport Transfer for the most comfortable seaport transfer to or from any location in the United Kingdom. While Booking the Service please specify The Ship Name and Terminal Name at the End of Booking or Please Call us (0044 203 6177825 ) and our driver will Greet you at Meeting Point with your Name Board, Britannia Airport Cars is available to provide you easy Seaport Transfer services to and from Portsmouth International Port, Harwich international Port , Southampton Cruise Port, Dover Cruise Port, and Tilbury Cruise Port. without having any trouble; you can choose a small London Airport Minicab or a coach. If traveling with family, friends or co-workers, you must to choose a coach and hire a minicab whenever you are going alone; both the ways are available with Britannia Airport Cars.If you are going to book a London Airport Minicab for Tilbury Cruise Port Transfers,whether that be London Airport, Heathrow Airport, Gatwick Airport, Southend Airport,Luton Airport, Stansted Airport or London City Airports. you may contact to Britannia Airport Cars. Everyone like a train and professional chauffeur who can handle each and every route. If you want to hire a London Airport Minicab for any kind of long route to reach to Tilbury Cruise port, you must to choose Britannia Airport Cars as these cars are available with modern GPS technology with perfect chauffeurs. How Britannia Airport Cars serves you better? We would like to tell that Britannia Airport Cars are available on Every Seaport of London. 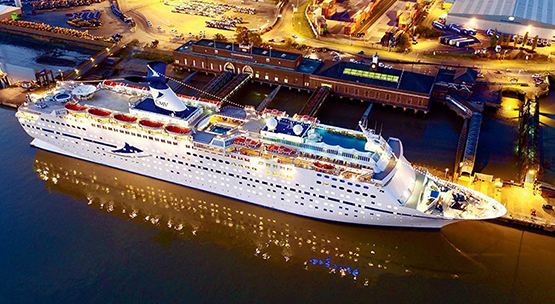 If you are in need for Tilbury Cruise Port Transfers, why worry about transport to Tilbury Cruise Terminal? Britannia Airport Cars are available for you. ü Britannia Airport Cars provides you clean and hygiene cars with full of comfort for your trip. ü Britannia Airport Cars provide you package wise selection that will provide you some extra time for enjoying the trip our packages are 4 hours, 8 hours, 12 hours. ü Transparent and clean payment modes, no hidden charges. ü Our professional drivers will help you in having on time drop by selecting right routes. ü We give you 24x7 services so even if it is early morning or late night timing. ü Drivers have a minimum of 3 years experience in driving field. ü Parking charges will be applied as per Seaport rules. We can make your trip better with our services of car rentals. You do not have to worry about your airport transfer anymore, because our drivers are able to handle all the things you require.